Ah, August. Quite the interesting time in the fashion world. After luxury designers have unveiled their Resort collections and before hitting the runways for Spring, it’s an extremely busy month behind the scenes for designers and buyers. Consumers, however, will need to wait until next month to see what their favorite designers will showcase for Spring 2019 as they further define what fashion means in the 2010s. After looking at the Resort collections, nothing terribly innovative happened for this holiday-focused slice of the fashion calendar … Elie Saab did unveil denim in a collection for the first time, which marked a change for the designer overall as he is known for flowing gowns in sumptuous fabrics. But, generally speaking, the Resort collections were what we’d expect to see from Resort, specifically attire made for holidays in St. Tropez and other stunning destinations. So, for a change a pace, I’d rather explore a point of discussion that came from a recent “Vogue” article. This is the perfect time to explore now since it’s a particularly busy time for key players in the fashion business. As fashion may be an art, it’s also a business. “Vogue” highlighted designer Tracy Feith, who is selling a new line of dresses. The very talented designer who was known for creating pieces for the IT-girl meets ingénue in the early 2000s is back, according to the fashion bible itself, with a limited edition line of dresses. 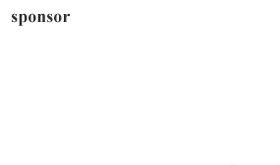 Not internet-breaking news, but Vogue pointed out two items of note. 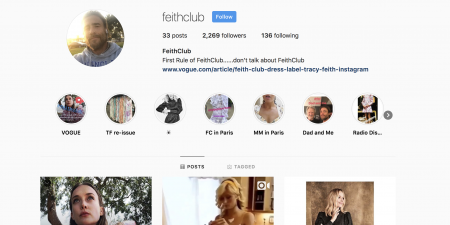 The first is that Feith, who is marketing his pieces under his Feith Club moniker, is only selling the line via Instagram direct messenger. What?! No bricks and mortar store, no e-commerce site … not even an Instagram Shop. This is the first time I’ve ever heard of a designer using Instagram Direct Messenger as its direct sales channel with consumers and, to be truthful, it’s quite ingenious. While some may think that this is a step to cater purely to instant-gratification millennials, Feith is actually doing what all luxury designers should do: communicating directly to their customers to give them the one-on-one experience that only truly luxury designers are able to offer: it’s the exact opposite of fast fashion. With a quick google search, you can find countless articles about how e-commerce is the wave of the now and luxury designers are slow to adopt this trend to their detriment. In fact, “The Drum” just published an article about this yesterday. The thinking is that luxury designers will find more customers through e-commerce as most people now shop online. That is a fair point. What’s also a fair point is that highly customized personal shopping experiences is one of the strengths that luxury designers bring to the table (besides, of course, greater design expertise and quality of materials). So why should designers like Chanel, who is slowly wading into the e-commerce pond, sacrifice the strength of a personal shopping experience just to get more customers impersonally? Maybe Feith has it right. Instagram direct message allows for customers to digitally order like an e-commerce site, but can directly communicate to customize orders and give feedback. This may just be the best of both worlds and we’ll have to track to see if other designers go this route. It may not be realistic for some, but it can work for others is Feith finds success. On another note, the “Vogue” article (link to https://www.vogue.com/article/feith-club-dress-label-tracy-feith-instagram) mentioned that the designer is “catering to the woman who doesn’t want to tell you where she got her fantastic, vibrantly printed frock, and she definitely doesn’t want to see you wearing it, either.” This seems counter-intuitive to what other designers want these days as most specifically target social media influencers to make them digital ambassadors for their brand. Instead Feith is using a social media platform to sell to women who wouldn’t want to post on said social media platform about the purchase. Very interesting and quite savvy as he is trying to leverage the platform without engaging with its most popular user type. Instead he is sticking close to his core muse – women who have style in the DNA and don’t need to flash that on Instagram – while speaking directly to them on the channel they’re most likely to be on … Thoughts?